Too many people do not give a thought to consulting a probate attorney, or putting together an estate plan, for that matter, until there is a sense of urgency and it is arguably too late. However, it is best to look into these issues as early as possible so that you are not rushed in hiring an attorney, and risk hiring someone who is inexperienced in these matters. 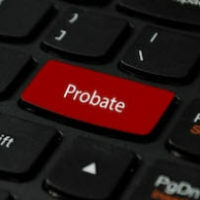 A probate attorney can not only help you with your will, but also with powers of attorney, trust planning, and related issues, such as retitling your assets and dealing with any resulting income tax issues. While drafting your will may seem as daunting as everything else involved in estate planning, truthfully, working with an experienced probate attorney to get your will done is one of the most important things you do for yourself and your loved ones. Without it, your loved ones will likely go through a certain amount of emotional distress after you pass, in addition to suffering from your loss. With it, you can make sure that the distribution of your assets is done according to your interests and what you deem to be fair. While it is possible to write your own will and handle your estate on your own, it is likely that, without the assistance of someone who is experienced in doing estate planning and probate administration in your state, you will likely end up with problems regarding the distribution of your property at death, which can lead to litigation among your loved ones. When you lose a loved one, just trying to make funeral arrangements is difficult enough without also having to deal with the probate process. By your loved ones having access to a probate lawyer to assist with the details of probate, they can focus on planning the funeral and dealing with their own emotions. A probate attorney can also advise them on financial issues as they pertain to the will. In addition, it is possible that those named in the will do not want the property that has been left to them, in which case, the probate attorney can assist them in disclaiming gifts made to them under the will or arranging an alternate mutually agreeable distribution among your beneficiaries, and any relevant court proceedings. The attorney will also be able to advise you as to the tax implications of the terms of the will and what your best course of action might given the consequence of any inheritance you may have received. The experienced estate planning and probate attorneys of Moran, Sanchy & Associates have devoted themselves to assisting clients throughout Florida in making the best plans to accomplish their goals for themselves and their families. Contact us today to find out how we can assist you.